Analog or digital? This question—perhaps the defining one of our time—is at the heart of James Verbicky’s “media paintings,” large-scale, glossy assemblages composed of vintage magazine cutouts applied in horizontal grids to Baltic birch panels, and finished with a slick of resin. Homages to print media and the now-benign language and designs of vintage advertising, Verbicky’s colorful collages absorb the bold text and formal flourishes of pages pulled from decades-old copies of TIME, foreign publications, and books collected at flea markets. With no shortage of nostalgia in his voice, Verbicky says in an online video that delves into his magazine-strewn studio, “printing is such a dying media, this was the main way of influencing people back then.” In his eye-catching works, which explode with visual information and draw from the vocabulary of both Pop and Minimalism, these relics of print media are “sealed in time,” the artist says. Another artist to draw elements from Pop, Hunt Slonem—who you may know for his series of portraits of Abraham Lincoln and his mural that adorns the much-loved Manhattan institution, the Bryant Park Grill, as well as his signature paintings of exotic birds and butterflies—has said of his practice, “I was influenced by Warhol’s repetition of soup cans and Marilyn. But I’m more interested in doing it in the sense of prayer, with repetition…It’s really a form of worship.” Slonem employs this meditative strategy in captivating gouache and oil renderings of parrots, doves, macaws, and cockatoos—subjects that have been something of an obsession for the artist, all featuring in his personal aviary at his home in the American South. 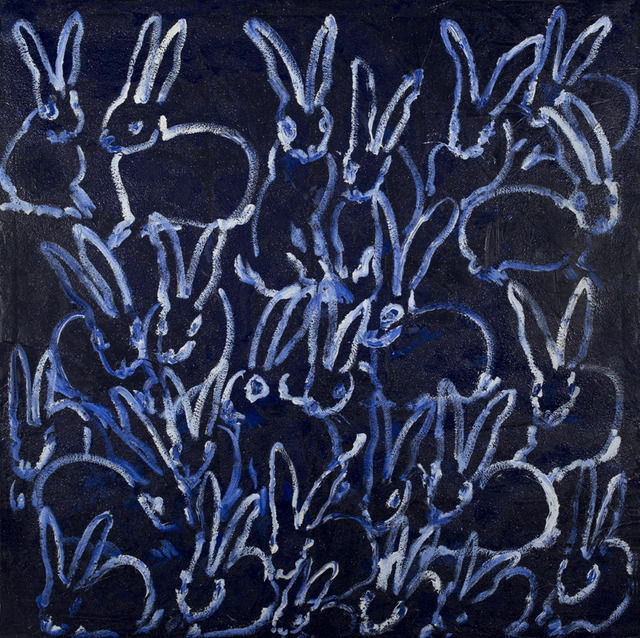 The New Yorker once reported that the artist could be found in his studio “painting away with a bird or two on his shoulders.” Among the tropical birds and butterflies that inhabit his paintings are rabbits, which Slonem began painting after discovering he was born in the year of the rabbit, according to the Chinese zodiac calendar. Focusing on their respective fixations has paid off for Verbicky and Slonem, whose works are richly patterned and imbued with tender reverence for their subjects. 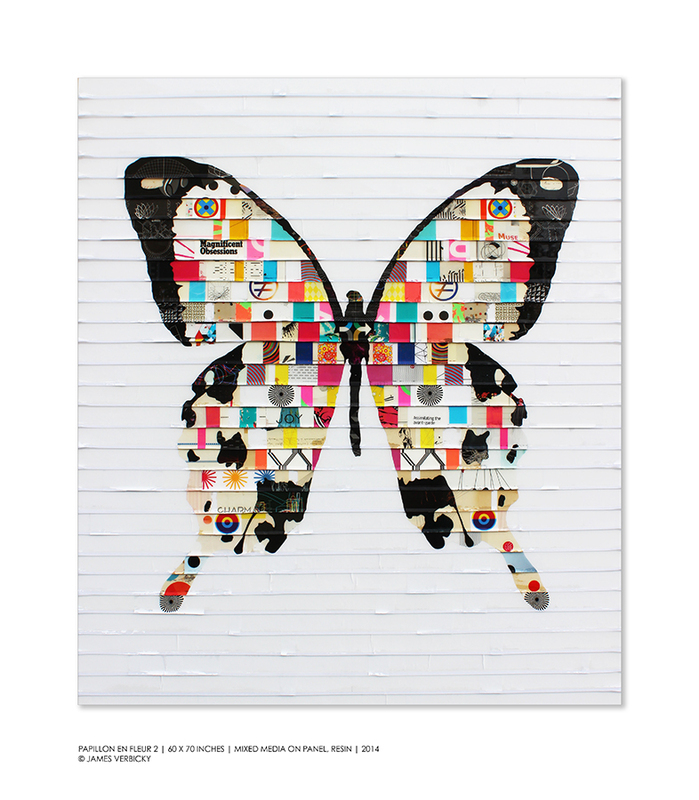 You can find their work, alongside others, at Madison Gallery’s booth at the Dallas Art Fair, April 10–13, 2014. Explore Madison Gallery’s both at the Dallas Art Fair. Follow Madison Gallery on Artsy. Previous Laguna Art Museum 2014 Art Auction a Success!